Inside Reads: Breast Wishes For A Happy Birthday, Grandma! 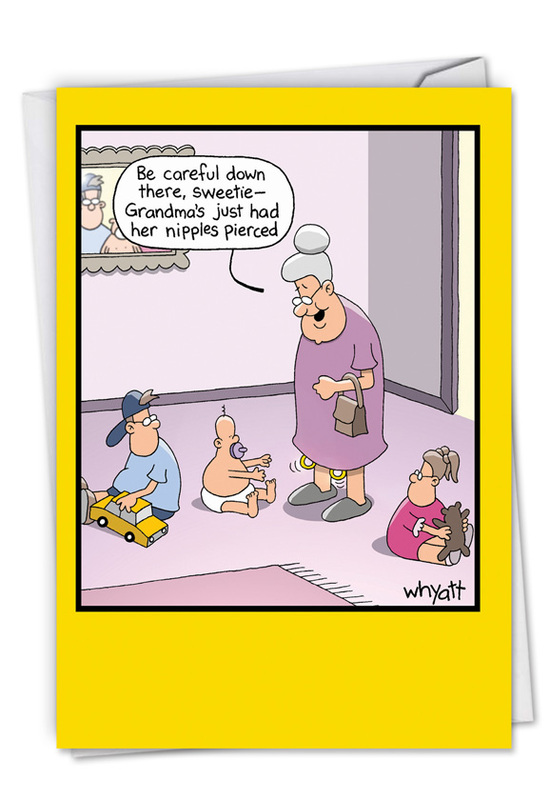 With the Funny Grandma's Piercings Grandma Birthday Greeting Card available at NobleWorks Cards, good taste takes a back seat to crude and piercing humor. 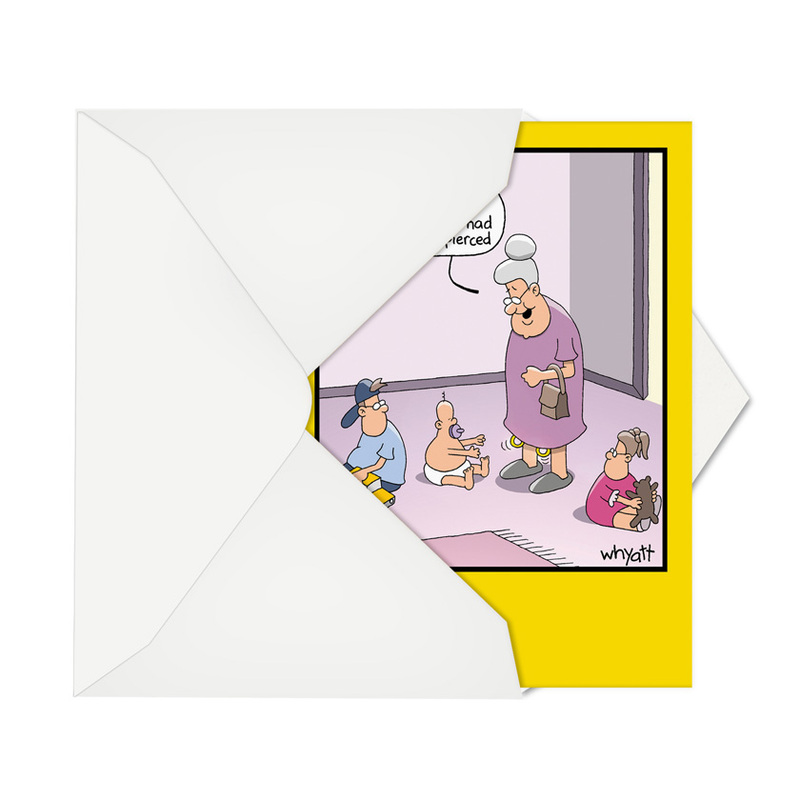 The grandmother in this irreverent and ribald greeting card illustrated by Tim Whyatt proves to be someone who might be less than the best choice to babysit the kids. 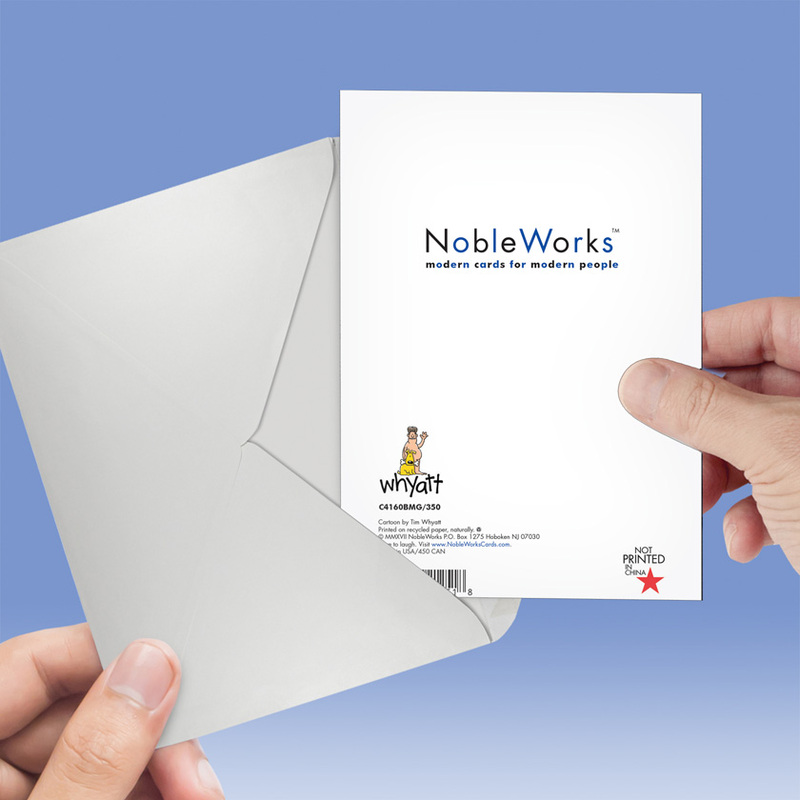 Over-the-top adult jokes are a stock in trade of NobleWorks Cards, which are printed in the U.S. on recycled paper. That makes them good for the environment, if not necessarily great for the standards of proper decorum. The hilarious Grandma's Piercings card is available with free shipping, and NobleWorks Cards offers this and all of its colorful and raunchy greeting cards with bulk pricing, so the more cards you order, the more money you can save. Greeting: Breast Wishes For A Happy Birthday, Grandma! Greeting: Cheers To Your Birthday, Mom! Greeting: You're The Best! Happy Birthday, Mom. 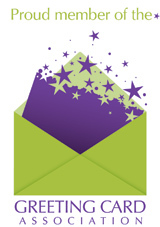 Greeting: There's Nothing Like That Personal Touch. Happy Birthday, Mom! Greeting: Enjoy Some Peace And Quiet On Your Birthday, Mom. Greeting: Happy Birthday, Mom. You're A Genius. Greeting: Happy Birthday To The Smartest Mom Ever. Greeting: I'd Like To Wish You A Happy Birthday, Mom! Greeting: Hope Your Birthday Is Divine, Mom! Greeting: Happy Birthday To The Hardest Working Mom I Know. Greeting: ...But You'll Be Relieved To Know That I Forgive You. Happy Birthday. Greeting: Sorry If I Drive You Crazy! Happy Birthday, Mom. Greeting: I Know I Make You Proud! Happy Birthday, Mom. Greeting: Happy Birthday To One Perfect Mom! Greeting: Hope Your Birthday Is A Real Treat, Mom. Greeting: I'm Only Going To Say It Once! Happy Birthday, Mom. Greeting: You Make It Look So Easy. Happy Birthday, Mom. 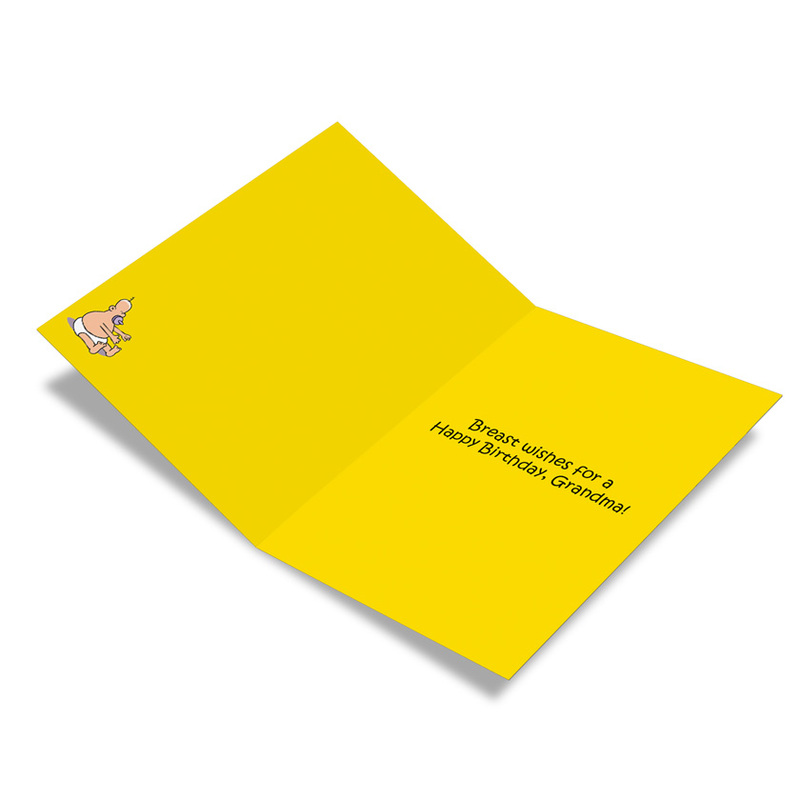 Greeting: You Have No Choice But To Have A Happy Birthday! Greeting: Wishing You Some Good, Clean Fun On Your Birthday, Mom. Greeting: Happy Birthday From Your Own Creation. Greeting: Like My Wallet, My Pockets, My Dresser Drawers, My Closets... Happy Birthday, Mom. Greeting: Happy Birthday To A Super Mom!